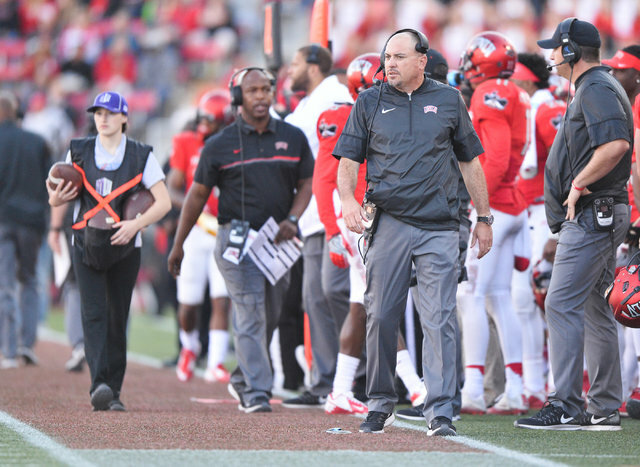 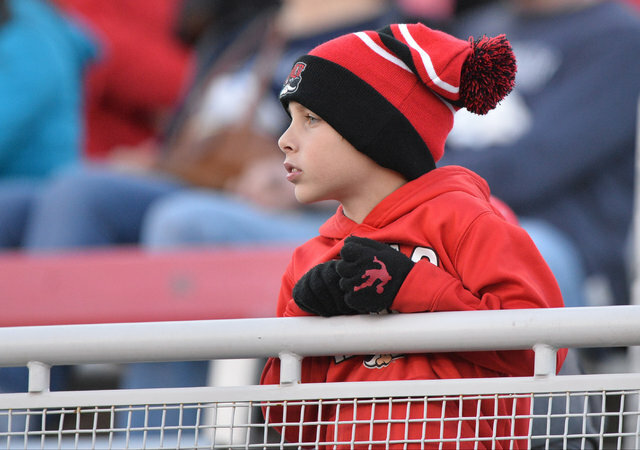 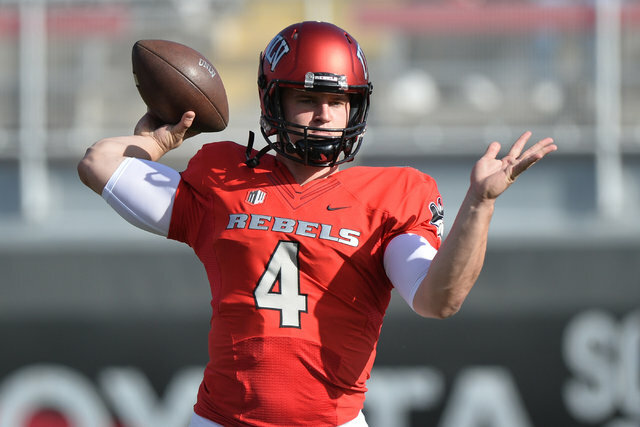 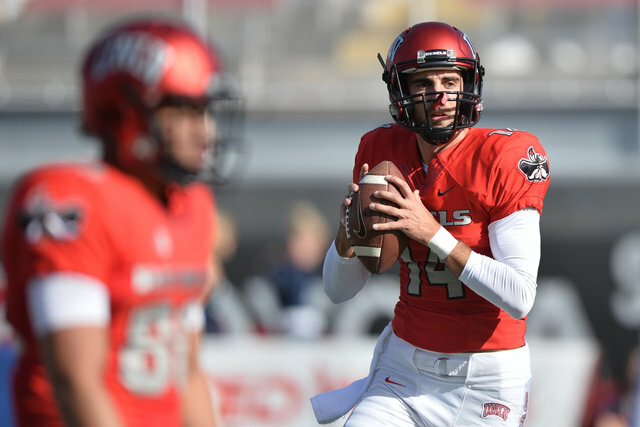 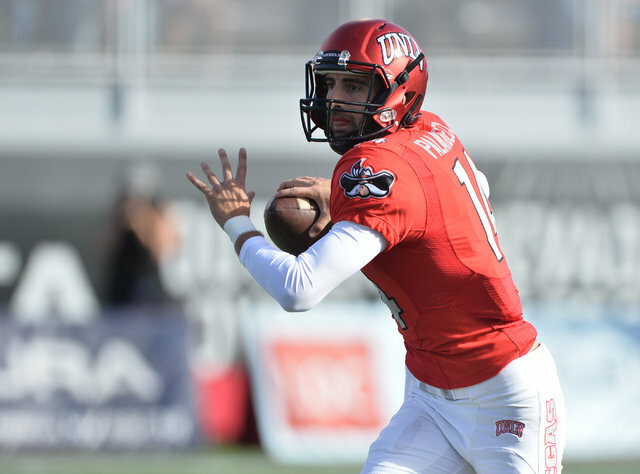 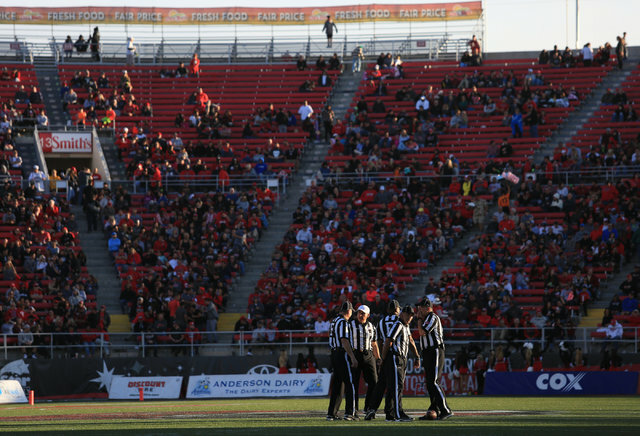 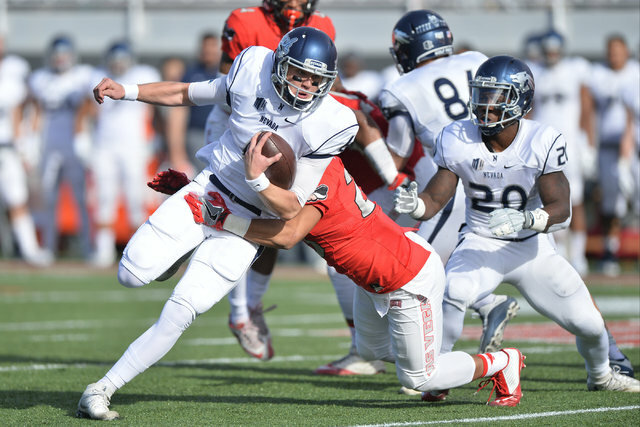 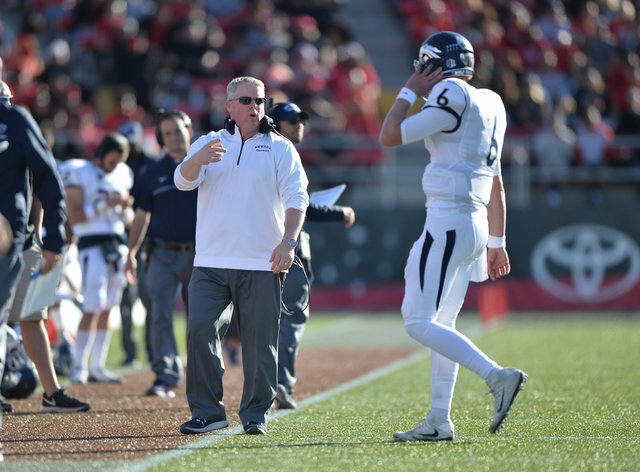 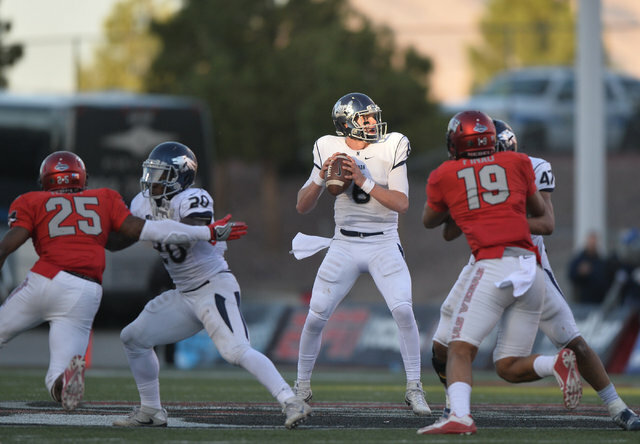 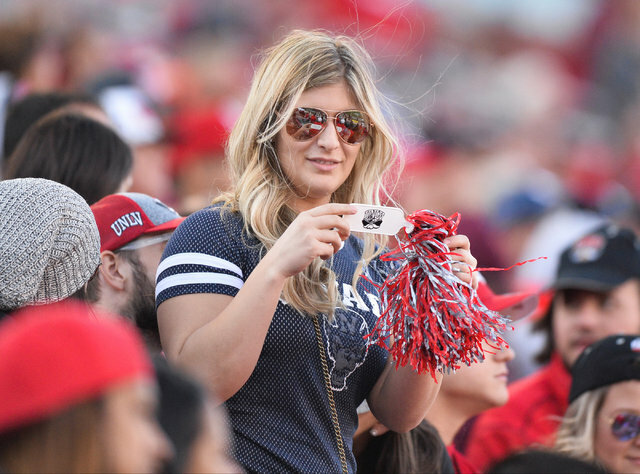 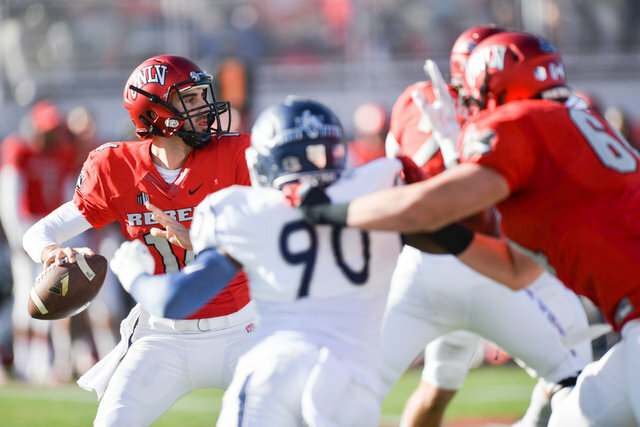 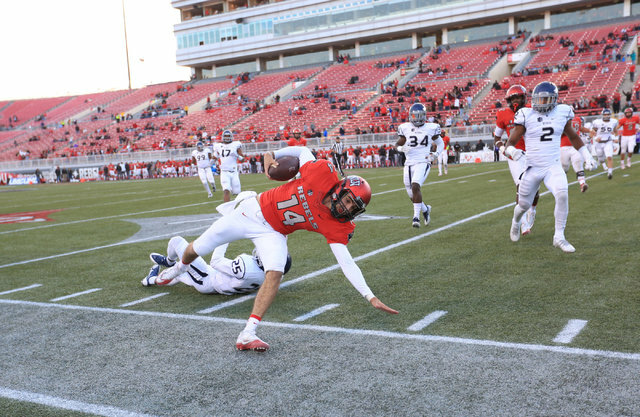 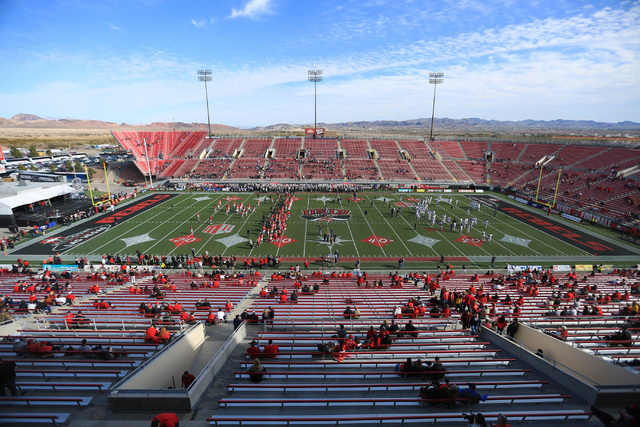 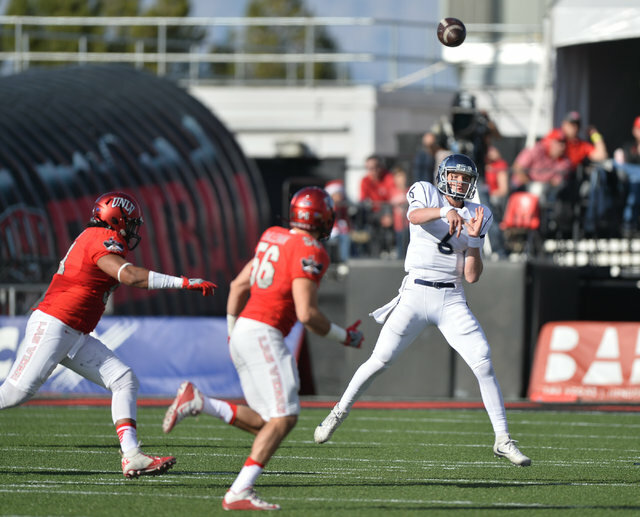 The Rebels inexplicably came out flat at home for their finale against rival UNR, falling behind 17-0 in the first half and never recovering en route to a 45-10 loss to the Wolf Pack before an announced crowd of 23,569 at Sam Boyd Stadium. 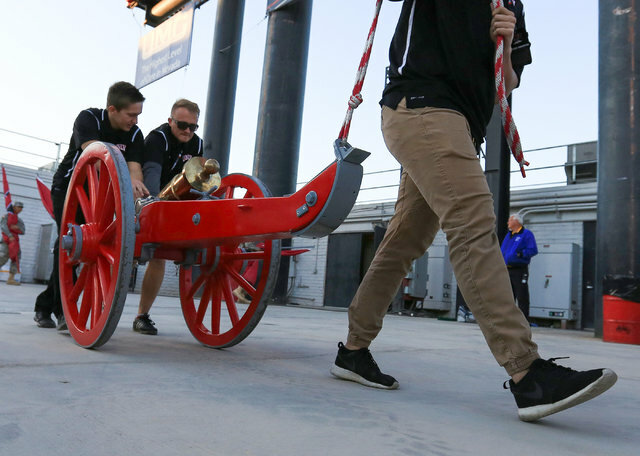 The UNLV football team’s motto this season was “Light the Fuse.” Somebody forgot to bring the matches to the Battle for the Fremont Cannon. 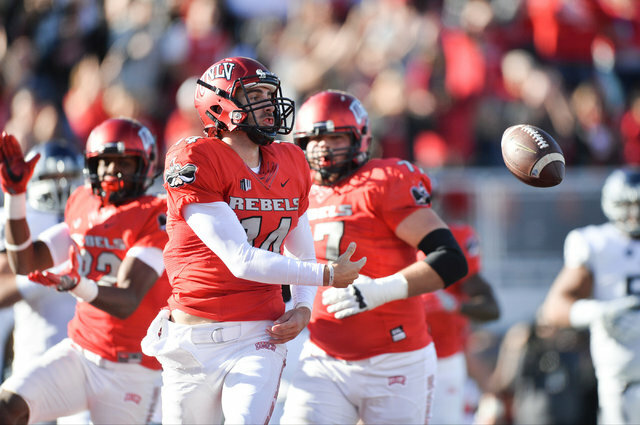 The Rebels, 10-point favorites, inexplicably came out flat at home for their finale against rival UNR and stayed that way, trailing 17-0 in the first half and never recovering en route to an embarrassing 45-10 loss to the Wolf Pack on Saturday before an announced crowd of 23,569 at Sam Boyd Stadium. 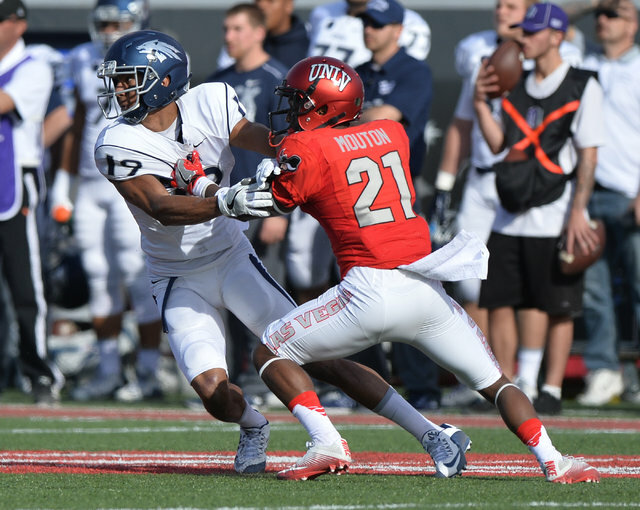 It was UNLV’s most lopsided loss of the season and matched its second-largest loss to UNR in the last 20 years. 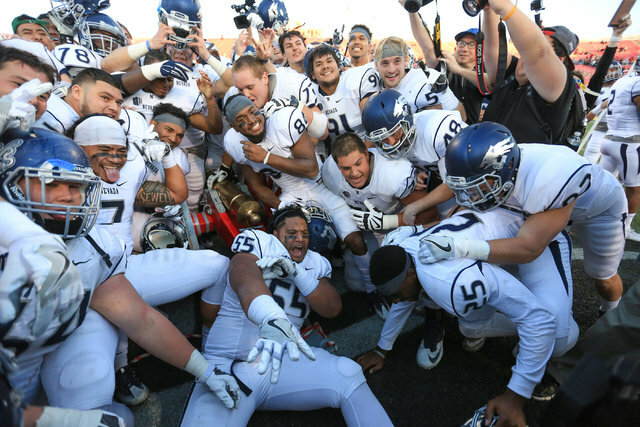 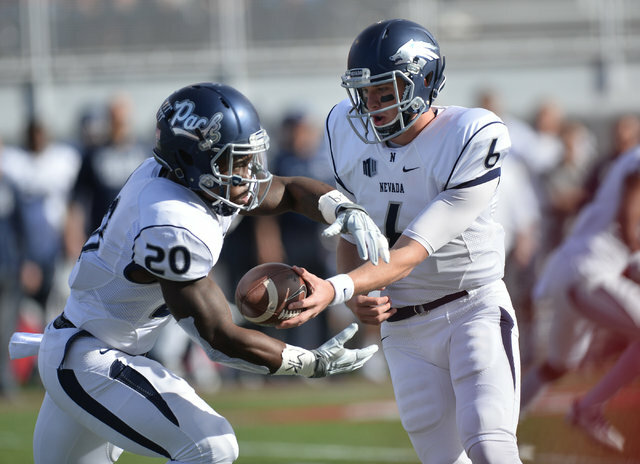 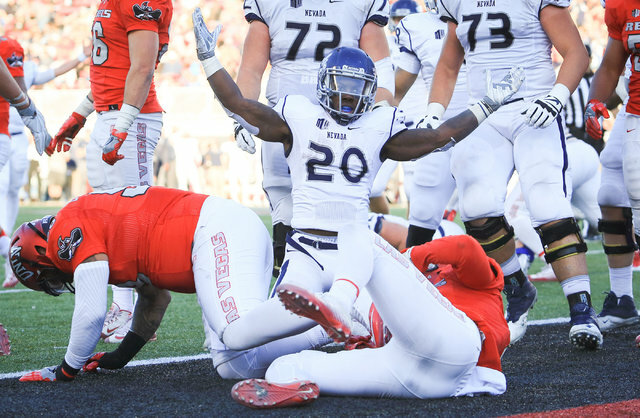 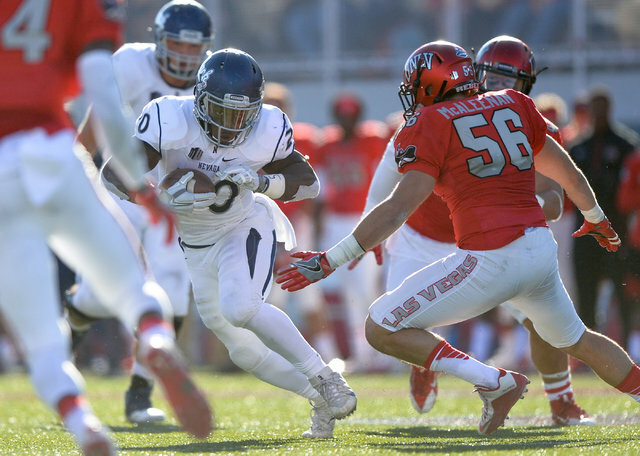 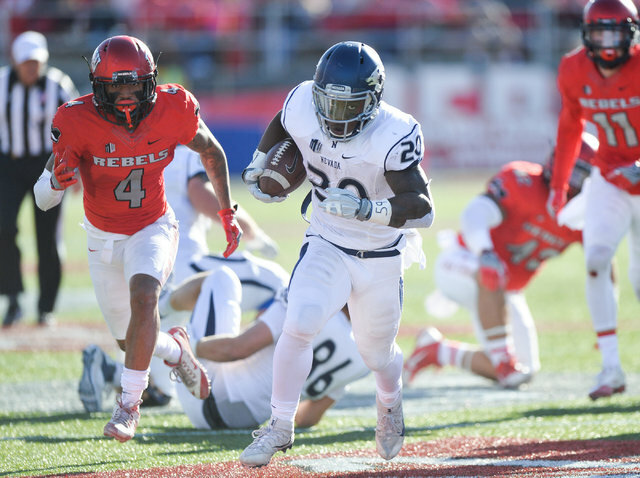 UNR running back James Butler rushed for 196 yards and three touchdowns and made five catches for 48 yards and a score, and Ty Gangi passed for 193 yards and a touchdown and ran for 99 yards and a score as the Wolf Pack reclaimed the cannon and might have saved coach Brian Polian’s job in the process. 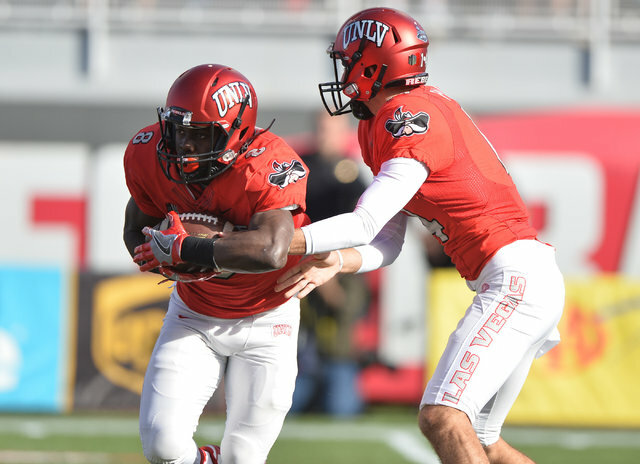 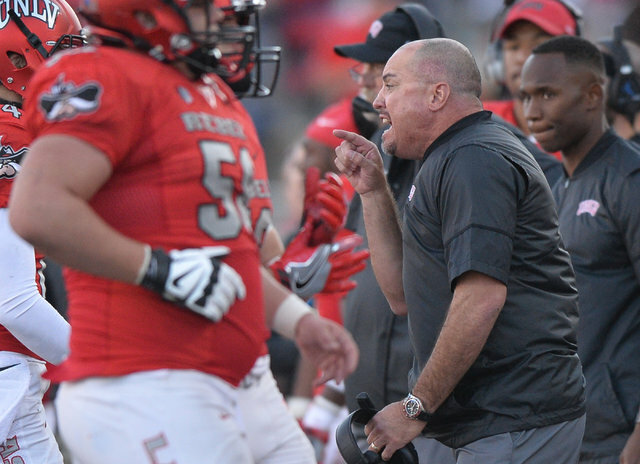 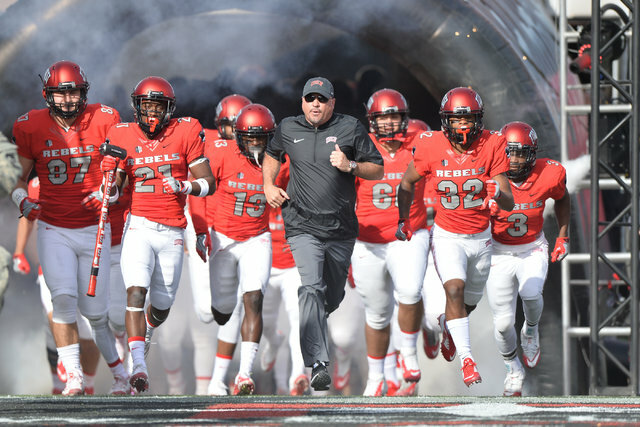 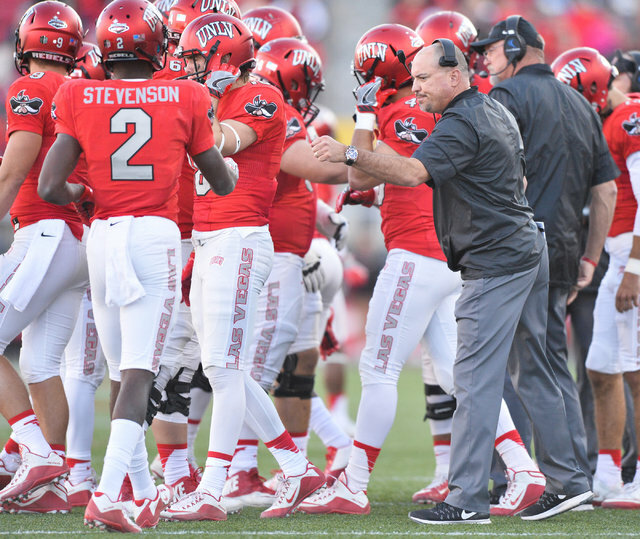 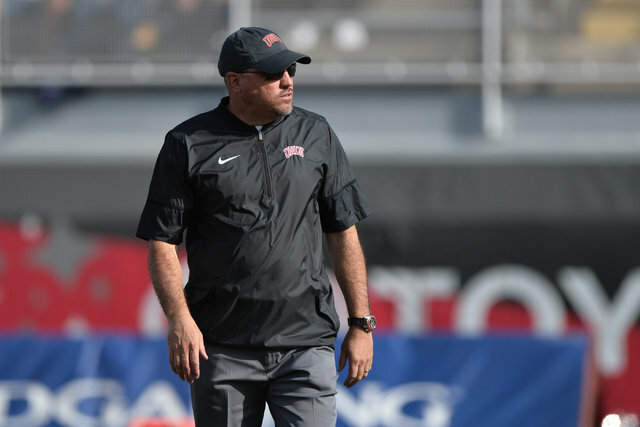 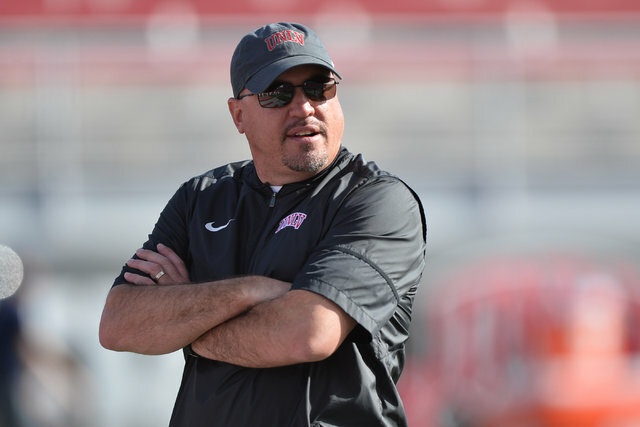 UNLV (4-8, 3-5 Mountain West) surrendered season highs in rushing yards (318) and total yards (511) in losing to UNR (5-7, 3-5) for the sixth straight time in Las Vegas and 10th time in the last 12 meetings overall. 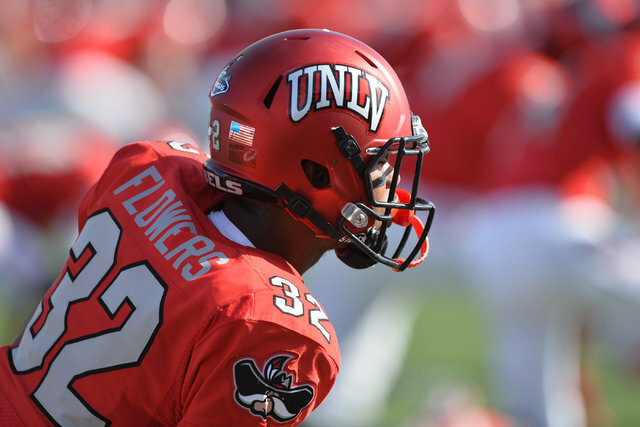 UNLV went three-and-out on its first three possessions and converted only 1 of 7 third downs in the first half and 1 of 12 in the game. 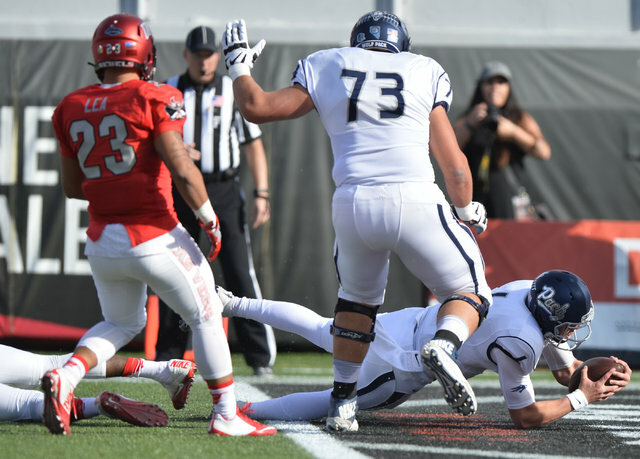 UNR went straight down the field for a touchdown on its first drive on a 19-yard run by Gangi, and went ahead 10-0 on a short field goal set up by a 58-yard punt return by Andrew Celis, who recovered his own fumble before bursting up the middle. 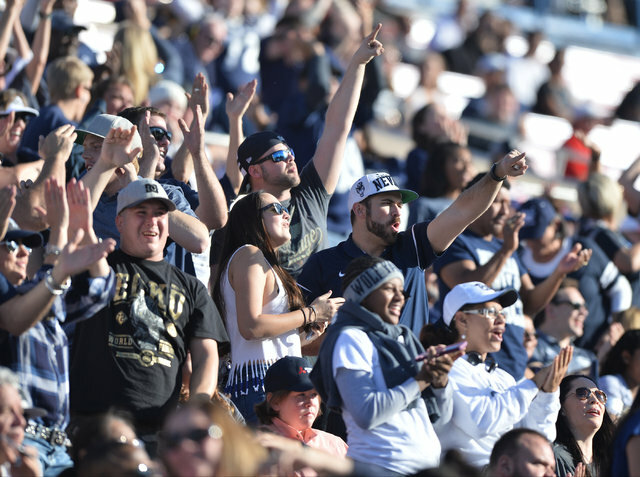 The Wolf Pack, who scored on five of their six first-half possessions and eight of 10 in the game, made it 17-0 on a 33-yard run by Butler that capped a seven-play drive comprised entirely of runs. 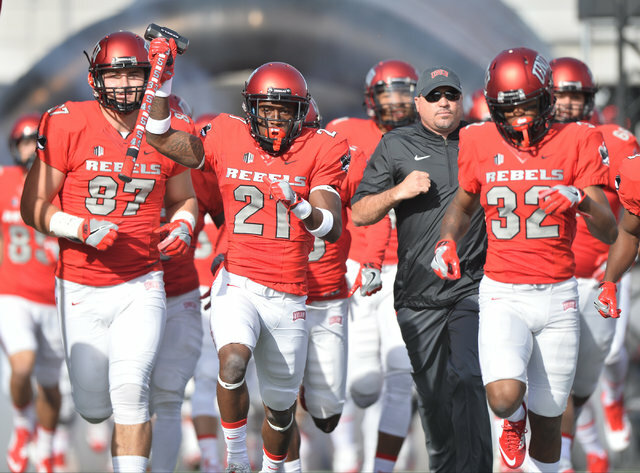 UNLV entered with the No. 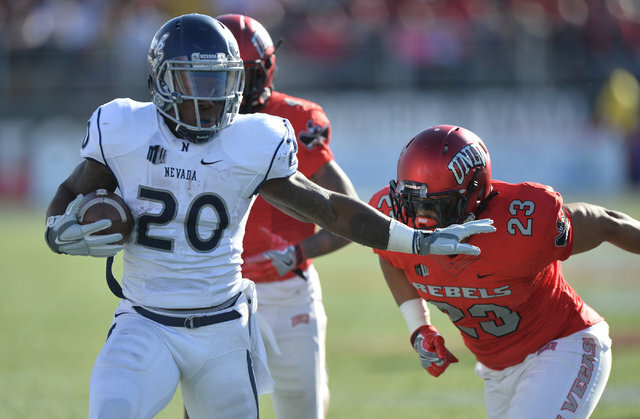 15 rushing offense in the country and UNR with the nation’s worst run defense. 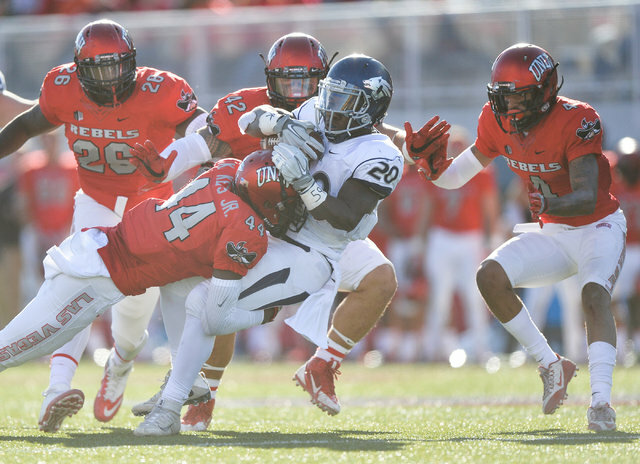 But the roles were reversed as the Wolf Pack ran wild and held the lifeless Rebels to 182 yards on the ground (98 by Palandech) after allowing an average of 411 rushing yards and 17 rushing touchdowns in their previous four games. 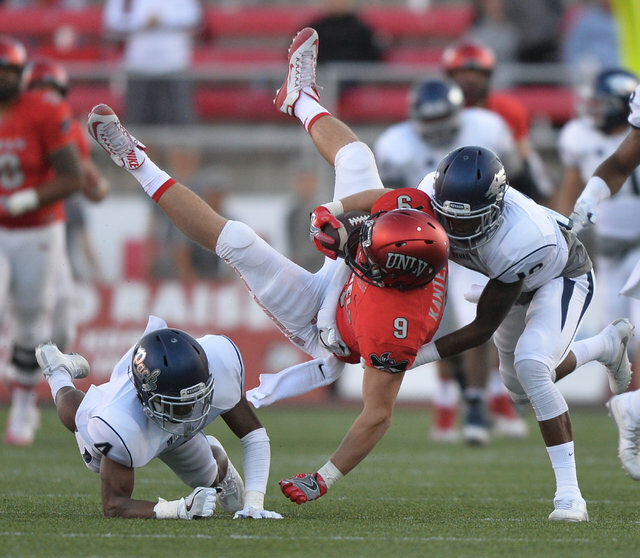 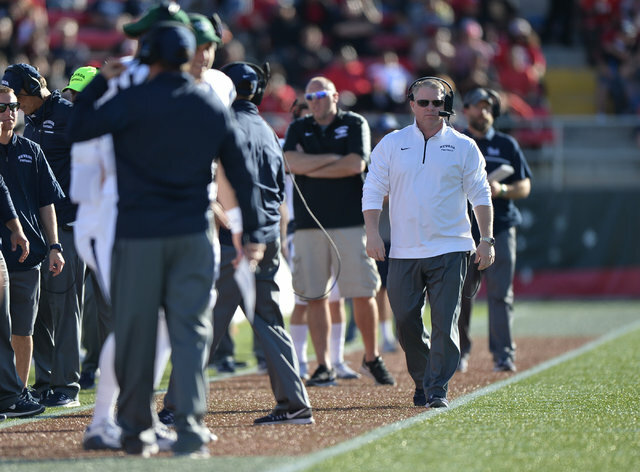 UNLV was hampered by countless missed tackles and couldn’t get off the field on third down as UNR converted 4 of 7 in the first half — including a 14-yard touchdown catch by Butler on third-and-9 — and 8 of 13 in the game. 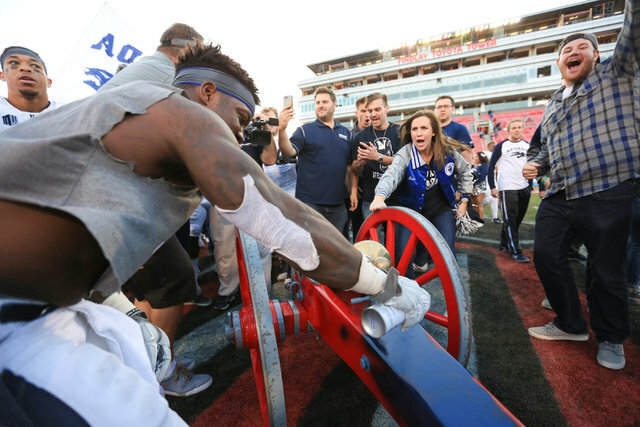 “There’s a lot of things we struggled with. 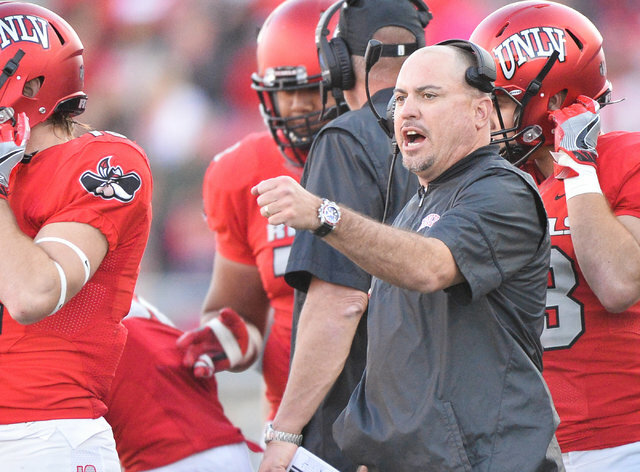 One of the most glaring ones was third down,” Sanchez said. 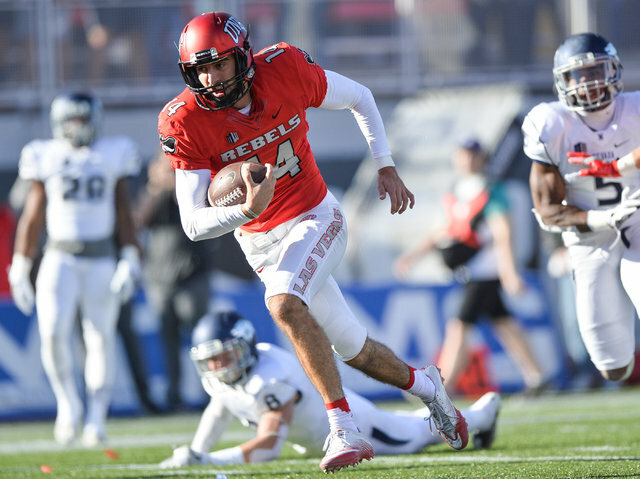 The other glaring problem was the Rebels simply not showing up for their rivalry game against only the second Wolf Pack squad since 2005 that won’t play in a bowl. 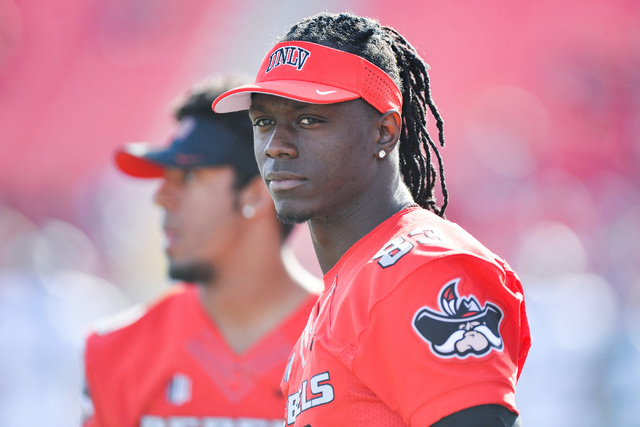 Contact reporter Todd Dewey at tdewey@reviewjournal.com or 702-383-0354. 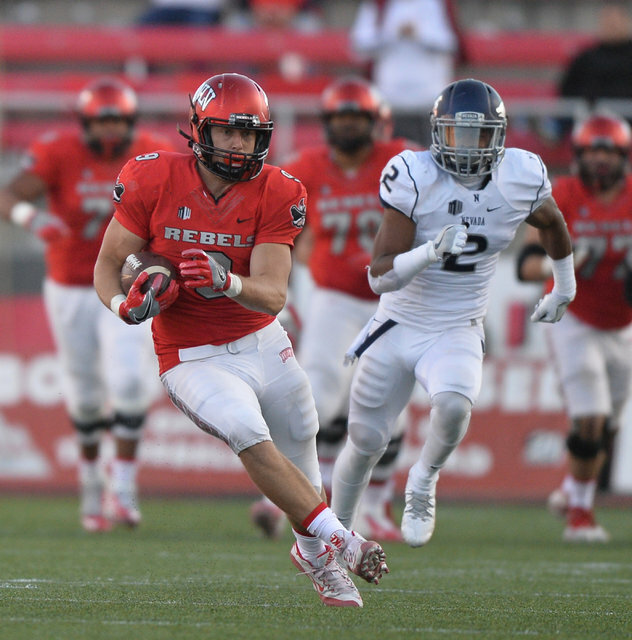 Follow @tdewey33 on Twitter.